Are you dreaming of owning your own business? 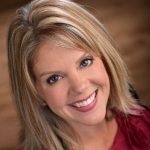 Lisa Welko of Integrity Franchise Group uses her wealth of experience to assist aspiring business owners determine which franchise opportunity best aligns with their skill sets, strengths, goals and values. If you’re excited to get started, reach out to Lisa today!